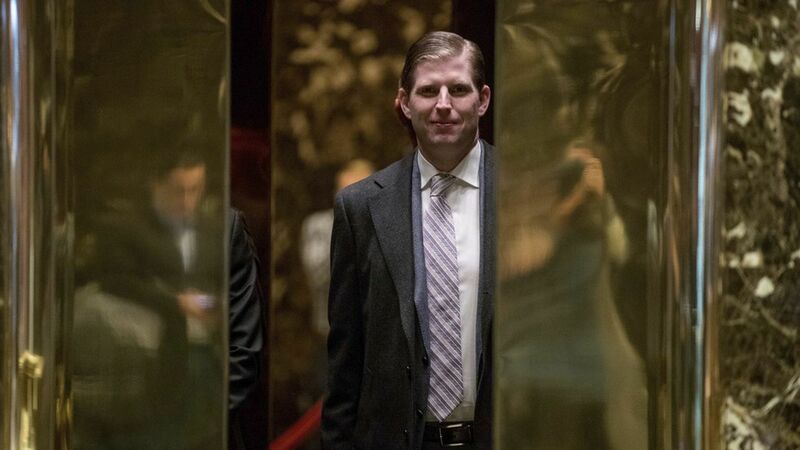 The Washington Post reports that a January trip by Eric Trump — who does not have a position in his father's administration — to visit a Trump-licensed property in Uruguay cost taxpayers almost $100,000. Hotel rooms for Eric's Secret Service attachment cost $88,320 while rooms for U.S. Embassy employees to "support the VIP visit" tacked on another $9,510. The government did not provide the length of the trip, the name of the hotel, or the number of rooms booked. Why it matters: It's another example of the difficulty in separating the Trump administration from his previous business ventures in a way that speaks most to taxpayers — cold hard cash.